California’s open enrollment 2018 is beginning and there have been important changes. These are the facts you need to know before you sign up for healthcare. Since election day in November of 2016, there has been much talk about repealing the Affordable Care Act, also known as Obamacare. This has left many Americans unsure how they will access healthcare in 2018. As of this writing, the Affordable Care Act is still the law and the marketplace is open for Americans to purchase health insurance. If you rely on Obamacare for your health insurance, you must sign up for a plan during open enrollment 2018. 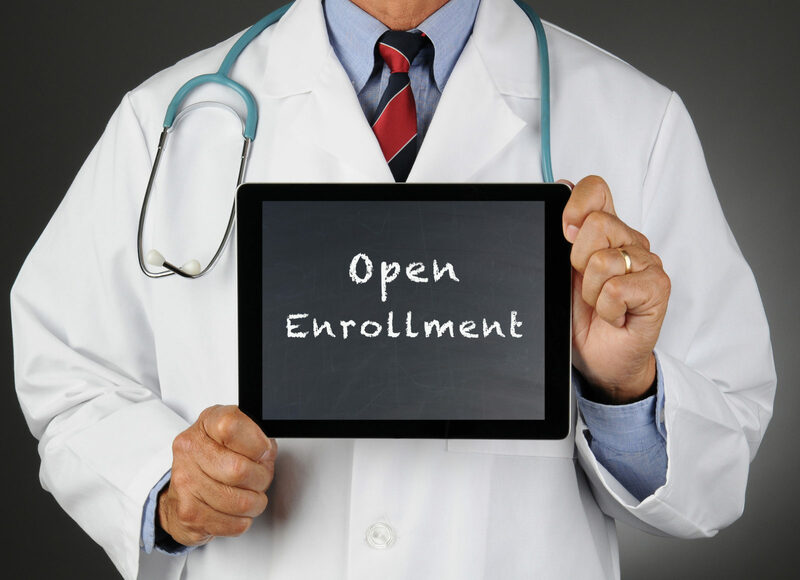 If you are unsure how open enrollment 2018 will work, keep reading. Here are seven facts you need to know. Nationally, Obamacare’s 2018 open enrollment starts on November 1, 2017, and ends on December 15, 2017. This is due to a move by the Trump administration to shorten the open enrollment window, which extended to January 31 last year. In response to this move, several states have extended open enrollment independently. In California, open enrollment is extended until January 31, 2018. Keep in mind that if you wait until after the New Year, the start of your health coverage will be delayed. Do I Need to Purchase Coverage? Under the Affordable Care Act’s individual mandate, all adults who can afford health insurance are required to purchase it. If you do not purchase coverage for 2018, you will be charged a penalty when you file your taxes. The penalty you pay is calculated as a percentage of your household income and is based on the number of months you went without health insurance. Certain individuals qualify for an exemption from the individual mandate. For example, if the lowest cost plan would cost more than 8.5 percent of your yearly income, you will not be penalized for not having insurance. Or, if your income is low enough that you do not need to file a tax return, you can also be exempt. In order to enroll for health insurance in the marketplace, you must meet certain requirements. First, you must live in the United States as either a citizen or a person with lawful immigration status. Permanent residents, refugees, and trafficking victims are examples of qualified nationals. If you are a United States citizen living abroad, you are not required to purchase health insurance to avoid a penalty under the individual mandate. If you do purchase health insurance, keep in mind that most health care providers covered under the plan will be in the United States. Incarcerated individuals living in the United States are not eligible to purchase insurance through the marketplace. Additionally, if you receive Medicare benefits, you may not purchase medical or dental coverage through the marketplace. If you do not currently have health insurance, you can apply for a new plan during open enrollment 2018. If you already have insurance through the marketplace, you can apply to continue an existing plan from 2017. Or, if you are not happy with your current plan, you can apply for a new plan. Marketplace plans are available in four tiers: bronze, silver, gold, and platinum. The levels affect what your costs for things like deductibles and copays will be. Lower tier plans have lower premiums and higher deductibles, while higher tier plans have higher premiums and lower deductibles. Whatever plan you purchase must provide minimum essential coverage. Just about all plans available in the marketplace provide the minimum coverage required. Minimal coverage must cover expenses including outpatient costs, emergency care, prescription drugs, hospitalization, and mental health. While it is necessary for your plan to provide coverage in these areas, the level of coverage provided can vary. To check what particular plans cover, refer to the Summary of Benefits and Coverage. The cost of premiums have increased across most of the country, and California is no exception. Rates are increasing for several reasons, but the most significant is the increased cost of providing healthcare. That said, some price increases can be attributed to the uncertainty over the future of the Affordable Care Act. The exact level of your premium increase will depend on the specific county you live in, and how many health insurance plan options are available in that county. Do I Qualify for Subsidies or Other Help? Recent efforts have sought to roll back subsidies available to low and middle-income Americans. Because of this, many are unsure whether they will qualify in 2018. Cost assistance for purchasing health insurance is based on your family’s size and household income compared to the federal poverty level. Many Americans qualify for premium tax credits. These can either be paid directly to your insurer or can be deducted when you file taxes at the end of the year. If you estimate your yearly income inaccurately, you may end up owing back tax credits at the end of the year. What is a Health Savings Account, and Do I need One? A health savings account (HSA) is a medical savings account. It allows you to set aside tax-free dollars to cover out-of-pocket medical expenses. Funds from an HSA can cover medical, dental, and vision costs, but can not cover health insurance premiums. HSAs are eligible with “High-Deductible” plans that meet minimum essential coverage. A high deductible plan is one that comes with high out-of-pocket expenses for certain medical services and procedures. To qualify, your plan must meet a minimum deductible amount. HSAs are an investment account, and the funds in them grow tax-free. So, if you do not use the money in your HSA, those savings will grow for when you do need them. That said, there are maximum contributions that you can make to a health savings account on a yearly basis. If you purchase a high-deductible plan through the marketplace, opening a health savings account can be a good choice. These accounts are available at most major banks. Knowing these seven facts about open enrollment 2018 will help you and your family get the health coverage you need. If you have more questions about open enrollment or health insurance in California, contact us. We’ll work with you to help you learn your options and get covered.